Smile! Candid Camera’s Back | Wait! What's A Dial? 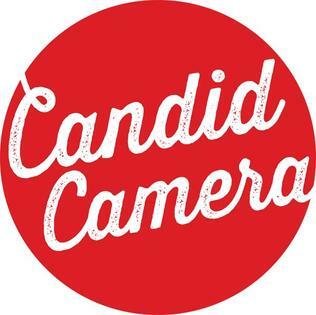 Last month, TV Land brought Candid Camera back to television after a 10 year hiatus. This version is hosted by Mayim Bialik and Peter Funt. Unlike the majority of recent revivals, Candid Camera is still the same old show, which is both good and bad. Candid Camera is a family show in an era that doesn’t have any. It’s a prank show that isn’t mean spirited. As Peter Funt told The Wrap, “Here’s the thing: A lot of other hidden camera shows strike me as out to show that people are stupid. We don’t think that’s really funny, and for the most part, I don’t believe that’s even true. The show is familiar. If there’s nothing better on TV, you can count on Candid Camera to bring a smile to your face. Because TV Land’s Candid Camera is the same show that started on radio as Candid Microphone, you get the feeling you’ve seen it all before. Viewers are savvier than they used to be. In one of the episodes, Candid Camera had people in Colorado think they were trying different types of marijuana. They weren’t getting high, even though those participating felt a buzz. It might have been amusing and clever if the placebo effect wasn’t so well known. As much as I’d like to see Candid Camera succeed, I don’t think it will. Kids don’t want to watch what their parents watch and parents have seen all of the stunts before. It suffers from the same issue America’s Funniest Home Videos. It’s a show from a different era that doesn’t have the same appeal it used to, which is a shame because nothing else quite captures Candid Camera‘s spirit. The season finale airs September 23 at 8pm on TV Land. Posted on September 19, 2014, in Cable, Comedy, Reality TV, Remakes, TV Land and tagged candid camera, comedy, mayim bialik, peter funt, prank show, tv land. Bookmark the permalink. 2 Comments. Thank you for your insights. I can’t believe you replied. The PAX run of Candid Camera started when I was in kindergarten. It was one of my favorite shows at the time, which is why I never realized Candid Camera was aimed at adults. In hindsight, PAX probably put many limits on what it aired.